Be the first to hear about their new releases and deals. Download the Booksprout app and search for KC Klein today! KC Klein has lived most of her life with her head in the clouds and her nose buried in a book. She did stop reading long enough to make a home with a real life hero, her husband, for over twenty years. A mother of two children, she spends her time slaying dragons, saving princesses, and championing the belief in the happily-ever-after. 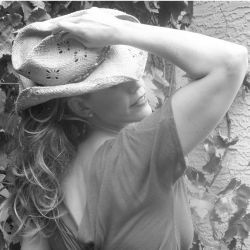 An award-winning author, KC Klein has written her gritty, sci-fi, Dark Future Series, and The Omega Galaxy Series, but she has become most widely known for her popular In The Heart of Texas contemporary romance series. KC loves to hear from readers and can be found desperately pounding away on her laptop in yoga pants and leopard slippers or more conveniently at www.kckleinbooks.com.